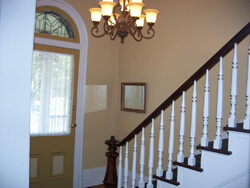 We offer two fine fully restored beautifully decorated Victorian homes for your visit to Steubenville. 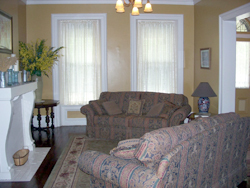 When you reserve a Bayberry Guest House for your stay you are the only guests in the house. 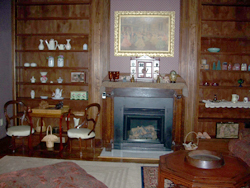 The Westfall Guest House is a calm and quiet retreat with accommodations for 1 to 8 guests in four individually decorated bedrooms, living room, dining room, parlor and kitchen. The house can be reserved with 1 to 4 of the bedrooms. 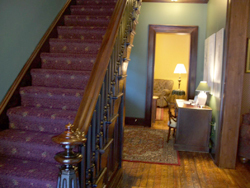 The Garrett Guest House is a refined and comfortable home offering accommodations for 1 to 10 guests in 5 individually decorated bedrooms, living room, dining room, parlor and kitchen. The house can be reserved with 1 to 5 of the bedrooms. Click here to make online reservations. Or give us a call at 1-740-632-2899. 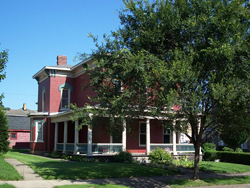 History and a photo tour is also available on our web site.